Schweibert on Schweibert: Take responsibility: financially, commercially and personally. From 1995 to 2012, Dr. Ulrike Schweibert worked as an attorney (since 1999 as partner) in the employment law practice at Bruckhaus Westrick Stegemann (now Freshfields Bruckhaus Deringer) in Frankfurt am Main. Prior to that, she gained international experience at a commercial law firm in New York. She specializes in "stand alone" employment law business, i.e., advising clients in the context of restructurings, corporate downsizing, outsourcing, changes in terms and conditions of employment and pension commitments, etc. Ulrike’s clients include financial institutions, DAX companies, manufacturers and big as well as small and medium-sized service companies. Her experience also includes extensive forensic activity and representation of board members, directors and senior executives. According to JUVE Handbuch 2017/2018, Ulrike Schweibert is one of 14 Leading Senior Partners in Employment Law. What's more, WirtschaftsWoche, Handelsblatt and “Best Lawyers”, Focus-Spezial Top-Business Lawyers in Germany, Legal Media Group’s Expert Guides - Women in Business Law, Who is Who Legal Germany and Chambers Europe rank Ulrike Schweibert again among Germany's foremost employment lawyers in 2018. As a member of the employment law committee of the German Bar Association (DAV) and European affairs officer, she promotes the development of employment law in Germany. She is co-editor and author of a highly respected reference work on restructurings (Umstrukturierungshandbuch Willemsen/Hohenstatt/Schweibert/Seibt), currently in its fifth edition. Since 2016 she is a member of the supervisory board of Amadeus Fire AG. She is also engaged in activities beyond the practice of law, namely as board member of Plan International in Germany, a non-profit organization for the promotion of children’s interests worldwide. Ulrike is married with two children. Leßmann on Leßmann: It's easier to understand businessmen when you yourself are one. During his more than 20-year career as an attorney in employment law practice, Jochen has advised and represented both German and international companies as well as public-law entities in all areas of employment law. He regularly advises and represents board members, directors and senior executives in negotiations as well as forensic proceedings. He is also an occasional contributor to professional journals on issues of employment law. Jochen is married with three children and a wide variety of interests. Leßmann on SCHWEIBERT LESSMANN: The employment law boutique firm allows a broader clientele without excluding transactional work in employment law. 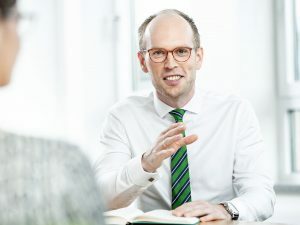 Together with other lawyers of SCHWEIBERT LESSMANN, Jochen has advised on a variety of projects over the past years, including employment law issues in conjunction with the initial public offerings of GSW Immobilien AG and NORMA Group AG; the sale of ARRIVA Deutschland GmbH for German Railways (Deutsche Bahn AG); the sale of the retail client business of SEB AG to Santander Consumer Bank AG and on employment law issues surrounding the acquisition of the Kabel Baden-Württemberg Group for Liberty Global Inc. and the Unitymedia Group. According to JUVE Handbook 2016/2017, Handelsblatt and “Best Lawyers”, Focus-Spezial Top-Business Lawyers in Germany, Who is Who Legal Germany 2017 and Chambers Europe 2017 Jochen Lessmann is one of Germany's foremost employment lawyers. Engesser Means on Engesser Means: Tune in to clients quickly, offer practical and results-oriented advice and find successful solutions. Nicole Engesser Means began her career in 1991 as an employment law attorney at Bruckhaus Westrick Stegemann (now Freshfields Bruckhaus Deringer) before joining Clifford Chance in 1996, becoming Partner and heading up the German employment law practice for many years. In 2015, Nicole joined SCHWEIBERT LESSMANN as a Partner. She assists clients in preparing and implementing restructurings and corporate downsizings, negotiating shop agreements and collective bargaining agreements with works councils and unions. She supports clients in internal investigations including identifying compliance violations and taking personnel measures. Further areas of specialty include remuneration systems of financial institutions and data privacy. She regularly advises and represents the interests of board members, directors and senior executives. Together with her colleagues and based on her many years of international experience, Nicole advises German and international companies on all issues surrounding employment and labor law, including M&A, outsourcing and joint venture transactions. She also regularly represents clients in employment law litigation. Engesser Means on SCHWEIBERT LESSMANN: The strategy works: clients appreciate the top quality advice provided by experienced partners. 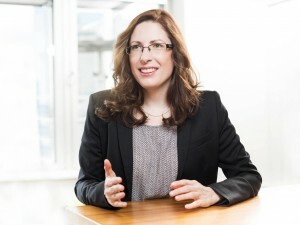 Nicole Engesser Means has been ranked for many years, and again in 2018, as one of Germany's leading practitioners in the field of employment law by the JUVE Handbook (special mention as “leading partner above 50”), Chambers Europe and Handelsblatt and the Legal Media Group’s Expert Guides - Women in Business Law. 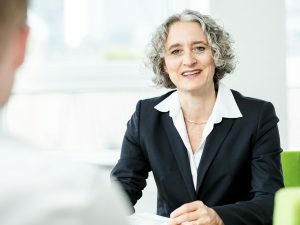 Best Lawyers voted her again as one of the "Lawyers of the Year" (category "Labor and Employment Law, Frankfurt/Main region") in 2018. She is a contributor to professional journals on issues of employment law, has co-authored an employment law handbook on collective agreements and is a regular lecturer. Since 2016 Nicole is also a member of the Beirat Region Mitte of Deutsche Bank. Solve problems efficiently and contribute to the long-term business success of our clients. Mengel on Mengel: Employment law is a challenge for any organization: complex structures, always changing, often overregulated. I'm happy to assist my clients in determining the right direction when it comes to making decisions and acting as their service provider to implement them. Prof. Anja Mengel (LL.M. Columbia) was admitted as an attorney in 1999 and became a certified specialist for employment law in 2002 after completing her university studies, doctorate, graduate studies and legal clerkship in Cologne, France, New York and Jerusalem. For the past 20 years she has specialized in advising and representing employers. Her long term clients include German and foreign companies, associations and public institutions of all sizes, from DAX 30 companies to start-ups. After working at leading commercial law firms, most recently as Practice Group Head Germany, she became a founding partner of the Berlin office of a nationally operating employer-side law firm. Since January 2019 she is a partner at SCHWEIBERT LESSMANN. Anja Mengel advises clients throughout Germany on the full spectrum of employment and labor law, focusing on restructurings (corporate reorganizations, downsizing), devising terms and conditions of employment (standard contracts, compensation schemes, shop agreements, collective bargaining law, corporate pensions) as well as individual cases (day-to-day HR management matters and terminations). She has particular expertise in compliance subject matters such as employee data protection, social security law/fictitious self-employment/temporary staffing and investigations. Anja Mengel appears regularly before the German labor courts as well as the ordinary courts of law and time and again has successfully litigated landmark cases all the way to the German Federal Labour Court. Mengel on SCHWEIBERT LESSMANN: A top-quality partner for clients in all things employment law, with a strong team both personally and professionally. They're the best team for the job. She has been a longstanding contributor to many major publications, including legal commentaries, manuals and monographs and legal journals. 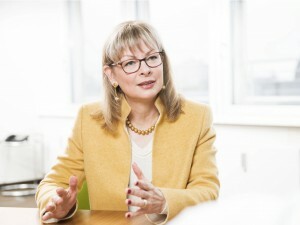 Her professional acumen and accomplishments have been recognized for many years by her peers and in national and international rankings, including JUVE ("Leading Partner in Employment Law" since 2006); Personal-Magazin (Top 10 employment layers/HR managers), Best Lawyers/Handelsblatt, Chambers Europe, Legal 500, Wirtschaftswoche, Who's Who Legal Germany, Legal Experts, and many more. She is involved in pro bono legal and employment law work in a variety of capacities, including as a member of the Committee of the Association of German Labor Courts (Deutscher Arbeitsgerichtsverband e. V.), member of the permanent deputation of Deutscher Juristentag e. V. (djt), member of the labor law committee of the German Federal Bar Association (BRAK), and member of the Corporate social responsibility committee of the German Bar Association (DAV, Deutscher Anwaltverein e.V.). Since 2017 Anja Mengel has also served as an honorary professor at the Bucerius Law School in Hamburg. She is married and lives in Berlin. Hopfe on Hopfe: I'll take real personalities over walking stereotypes anytime. Dr. Rüdiger Hopfe is a founding partner of SCHWEIBERT LESSMANN. After completing his legal studies, which included legal English training in Munster, Germany, he began working part time at the law firm of Freshfields Bruckhaus Deringer in Frankfurt am Main in 2002 while pursuing his doctorate. During his legal clerkship, he spent three months at both the London and New York offices. In January 2007, he joined Freshfields Bruckhaus Deringer . He is married with two children. Rüdiger has many years of experience in national and international transactions. Recently, he has furthermore been heavily involved in advising corporates in the financial sector on issues surrounding compensation schemes for employees and board members and on matters involving corporate retirement pensions. Hopfe on SCHWEIBERT LESSMANN: Employment lawyers must always keep one eye on the bigger picture. According to JUVE Handbook 2017/2018 Rüdiger Hopfe is one of Germany's foremost employment lawyers (special mention “leading partners 41-50”). His expertise is also recognized by Best Lawyers / Handelsblatt and Who's Who Legal Germany. He is a contributor to professional journals on issues of employment law and acts a lecturer for trainings and seminars. Herrmann on Herrmann: For me, employment law advice is largely about making decisions in a responsible manner and never letting the practical consequences out of sight. Dr. Christoph Herrmann is an attorney at SCHWEIBERT LESSMANN since October 2012, partner since January 2019. After completing his legal studies at the Universities of Bayreuth, Lausanne (Switzerland) and Frankfurt am Main, he was awarded his doctoral degree from the University of Frankfurt am Main in 2010. He completed his legal clerkship in Frankfurt am Main and New York City (USA). 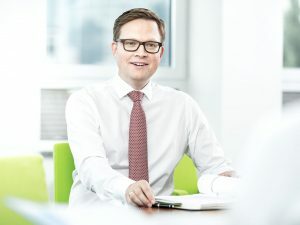 After earning his doctorate and during his legal clerkship he worked in the employment law practice at the Frankfurt office of Freshfields Bruckhaus Deringer. Herrmann on SCHWEIBERT LESSMANN: We serve clients with solution-oriented advice at the highest level. Christoph is a certified specialist for employment law and advises national and international clients with respect to all issues of employment and labor law. His experience includes in particular advising clients in the context of restructurings, the deployment of external staff or leased employees and an extensive forensic activity (including collective dismissals and court proceedings before the Federal Labour Court). He is co-author of a commentary published by Nomos publishing house and a regular contributor to professional journals on issues of employment and labor law. Christoph is married and has one child. Ries on Ries: For me, providing optimal advice means working with my clients to actively assist them in shaping and implementing their entrepreneurial ideas efficiently. Priscilla Ries joined SCHWEIBERT LESSMANN as Counsel in 2015. After completing her legal studies with additional qualifications in European, international and foreign law in Freiburg and spending six months working in Kenya, she joined the employment law team at Clifford Chance, where she worked as an attorney from 2007 to 2015. Prior to that, she had worked at the London office of Clifford Chance during her legal clerkship. Ries on SCHWEIBERT LESSMANN: The best minds for the biggest challenges – and a reliable, efficient and cost-conscious structure to boot. Priscilla has long-standing experience in advising on national and international M&A transactions, including negotiations as well as the integration of acquired businesses and operations into the existing entity and its organizational structures. She advises and represents clients with respect to all issues of employment and labor law, including restructurings, business transfers and complex issues relating to co-determination. She also has many years of experience in employment law litigation and settlement negotiations. Our team is more than the sum of its parts. Kühnast on Kühnast: From my corporate experience, I know that when it comes to employment law advice, the practicability and sustainability of a solution are just as important as its legal accuracy. In December 2018, Dr. Simone Kühnast joined SCHWEIBERT LESSMANN as counsel. She studied law at the Free University of Berlin where she earned her doctorate in the area of collective bargaining law. From 2003 to 2006 she worked in the employment law practice group at the Berlin office of Freshfields Bruckhaus Deringer. Thereafter she spent six years working as in-house counsel for an association for employers and business of a major corporation after which she worked from 2012 to 2016 as head of Employment law, Co-determination and Social in the same corporation. Before joining SCHWEIBERT LESSMANN she spent two years working as an attorney in the employment law team of a Berlin-based commercial law firm. Kühnast on SCHWEIBERT LESSMANN: We rise to the occasion of any legal challenge and offer clients the combined forces of our expert employment law team. Dr. Kühnast is a certified specialist for employment law and advises both German and international firms on issues spanning the entire spectrum of employment and labor law. One focus is providing ongoing employment law advice to companies, particularly in the area of industrial relations law. She also has extensive forensic experience (including appellate practice up to the Federal Labor Court). She is a member of the executive board of Institut für Arbeitsrecht Berlin e.V. and also gives lectures occasionally in the context of training courses and seminars. Hoffmann-Remy on Hoffmann-Remy: Every client is different, as are their demands. Finding the right solution for each individual case is what makes employment law so challenging. Elif Hoffmann-Remy joined SCHWEIBERT LESSMANN as an attorney in 2015. She completed her legal studies specializing in business law (economics and employment) at the University of Mannheim. Thereafter she worked as research assistant and as trainee lawyer during her legal clerkship in the employment law practice at the Frankfurt office of an international commercial law firm. After completing her legal clerkship as trainee lawyer in the litigation and the employment law practices at Clifford Chance, she started working as an attorney in the employment law practice of Clifford Chance in Frankfurt in September 2010. Hoffmann-Remy on SCHWEIBERT LESSMANN: Where soft skills in understanding clients meet a hard line in negotiations. Elif advises both German and international clients on all issues of individual and collective employment and labor law. She also has many years of experience in employment law litigation and settlement negotiations. Pfeiffer on Pfeiffer: Employment law is a dynamic field of the law that continually confronts practitioners with new challenges, which I enjoy meeting. Alexander Pfeiffer is an attorney at SCHWEIBERT LESSMANN since January 2015. He completed his legal studies at Johannes-Gutenberg University in Mainz and began his legal clerkship in Rhineland-Palatinate in 2012 and worked as research assistant in the employment law practice of an international commercial law firm. As part of his legal clerkship he also worked in the legal department of a major automobile manufacturer in Munich and spent the elective phase already at SCHWEIBERT LESSMANN. Pfeiffer on SCHWEIBERT LESSMANN: Quick integration into all the mandates, close teamwork and an open-door policy allow young lawyers to learn their craft quickly, which benefits clients as well. Alexander advises clients together with the partners of SCHWEIBERT LESSMANN on all issues of individual and collective employment and labor law. He also regularly represents clients in employment law litigation. My definition of success? Satisfied clients. And an inspiring working environment. Ullrich on Ullrich: Resolving employment law conflicts to the benefit of our clients is a constant source of motivation for me. Max Ullrich is an attorney at SCHWEIBERT LESSMANN since December 2017. After completing his legal studies at Heinrich Heine University, he initially worked as a research assistant at an international commercial law firm in Düsseldorf. In 2012 he began his legal clerkship, spending the elective phase in the area of employment law at a nationally known boutique employment law firm in Düsseldorf. Ullrich on SCHWEIBERT LESSMANN: Their focus on the essentials is compelling: practical advice of the highest caliber from a well-oiled team of employment law experts. 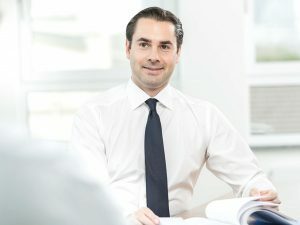 Before joining SCHWEIBERT LESSMANN, he had been working since 2015 as an attorney in the area of employment law in a mid-sized commercial law firm based in Frankfurt am Main. Please rotate Device to Portrait.